Brzeziński P, Satoh M, Adaskevich UP, Dhavalshankh A, Aby J, Arenas R, Al Aboud K. Dermatology Eponyms – sign –Lexicon (S). Part I. Our Dermatol Online. 2018;9(3):346-354. Eponyms are used almost daily in the clinical practice of dermatology. And yet, information about the person behind the eponyms is difficult to find. Indeed, who is? What is this person’s nationality? Is this person alive or dead? How can one find the paper in which this person first described the disease? Eponyms are used to describe not only disease, but also clinical signs, surgical procedures, staining techniques, pharmacological formulations, and even pieces of equipment. In this article we present the symptoms starting with (S) and other. The symptoms and their synonyms, and those who have described this symptom or phenomenon. 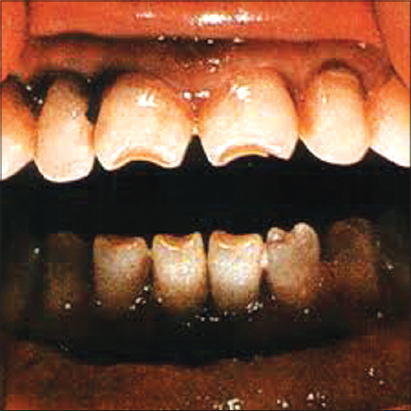 The sharp delimitation characteristic of a syphilitic skin lesion and Scars on the mouth following the healing of lesions in congenital syphilis . Anterior bowing of the tibia, seen in some children with congenital syphilis (Fig. 1). Also known as Fournier’s sign. Figure 1: Saber Shin sign. French dermatologist, 1832-1914 (Fig. 2). He specialized in the study of venereal diseases. In 1876 he was appointed chef de service at the Hôpital Saint-Louis, and in 1880 became a member of the Académie de Médecine. His main contribution to medical science was the study of congenital syphilis, of which he provided a description of in 1883. In his numerous publications he stressed the importance of syphilis being the cause of degenerative diseases. His name is associated with the following three medical terms: Fournier’s gangrene: Gangrene caused by infection of the scrotum and usually associated with diabetes. Although the condition is named after Fournier, it was first described by a physician named Baurienne in 1764. Fournier’s sign, Fournier’s tibia . Figure 2: Jean Alfred Fournier. South America fever and bleeding caused by the zoonotic Brazilian hemorrhagic fever Arenaviridae virus . Pitting oedema over the sacrum . During the Middle Ages, “St. Gervasius’ disease” became a popular name for any rheumatic affliction. During the Middle Ages, “St. Gervasius’ disease” became a popular name for any rheumatic affliction. St. Gervais-les-Bains has been a well-frequented spa on the Bon-Nant River in Southeast France since Roman times. It would be hard to ascertain if the disease was named after the saint or the town. Benjamin Lee Gordon, the medical historian, noted that the eponym was derived from the Babylonian and Persian. According to the St. Andrew Daily Missal, Sts. Gervase and Protase, sons of St. Vitalis and St. Valeria, “were martyred under Nero at Milan (first century). Gervase was beaten to death and Protase, after having been scourged, was beheaded.” Whether St. Gervase was afflicted with a rheumatic disease is not revealed . The epicentre of the Great Plague of 1665 was also the location of London’s primary medieval leprosy hospital. To the likes of Samuel Pepys, Nell Gwynn and Charles II, St Giles in the Fields was London’s largest outer parishes. Close to the capital’s burgeoning playhouses, it was a dirty, disorganised and poverty-stricken suburb of ramshackle tenements (just under 2000 households in total) and narrow streets, containing inns, brothels, butchers, watchmakers, booksellers, beltmakers, justices of the peace and nobility. Cosmopolitan and heavily populated, at its centre was the parish church of St Giles in the Fields, rebuilt in the late 1620s/early 1630s upon the site of the medieval original. It was a place that became synonymous with plague and the deaths of tens of thousands of Londoners. In the early twelfth century, the space that the London parish of St Giles in the Fields would later occupy was a green expanse of open fields and fresh air, well outside the capital. The only sign of habitation came from a newly-built hospital or ‘leprosarium’, that provided sanctuary for ‘lepra’ sufferers, away from the populous of London. At the time of the hospital’s foundation, the word ‘lepra’ (from the Latin ‘scaly’) was a catch-all term used to describe those suffering from a range of debilitating skin conditions, such as eczema, psoriasis, skin cancer. As well as being one of the earliest in England, St Giles was also the first leprosarium associated with London. St Giles was positioned on the main throughway to London from the west. The arrival of The Black Death in 1348, and its undeniably contagious nature, led to a fear – for the first time – that leprosy might also spread through miasma (the Galenic idea of ‘bad air’). St Giles was no exception. In 1542, a burial ground was annexed to the church. As London swelled, the village of St Giles grew in tandem and became the parish of St Giles in the Fields. By 1665, it had transformed into an overcrowded London suburb, notorious for its poverty and crime, and the burial place of over three thousand plague victims . Saint Giles (c. 650 AD – c. 710), is a Patron Saint of Breast Cancer (Feast Day – September 1st) . Dancing in wild delirium often for many hours accompanied with an irrational fcar of demons and drowning in blood, as wcll as, sometimes visions of heaven and the Savior enthroned with the Virgin Mary. An indication of ergot poisoning. Also known as chorus sancti viti, the lascivious dance, choromania, tanzplage, and orchestromania. Most commonly called Dancing Madness Sign . In the 15th and 16th centuries, people sought to protect themselves against a new disease that the physician Gaspare Torella (1452-1520) named the scourge of God. In seeking comfort in faith and prayer for God’s forgiveness, the supplicants prayed to the saints to intercede on their behalf to help them recover from this new disease of syphilis, which was identified variously by the saints’ names. Syphilis became known as Saint Mevenno disease, Saint Minus disease, Saint Mento disease, Saint Maino or Saint Job disease . Saint Job disease (male de Yob or Giobe disease, Giobbe disease, or le fiebres Sainck Yob) refers to the biblical Job, who paiently accepted all the plagues that affected him. Synonym of Leprosy. The Military and Hospitaller Order of St. Lazarus of Jerusalem (OSLJ) is a religious/military order of chivalry which originated in a leper hospital founded by Knights Hospitaller in the twelfth century by Crusaders of the Latin Kingdom of Jerusalem. Sufferers of leprosy regarded the beggar Lazarus as their patron saint and usually dedicated their hospices to him. His name corresponds to Hebrew ‘el’ azar (“God saved”) . Fever, headache, disorientation, coma, encephalitis with cerebellar involvement, can progress to mortality. Caused by the bite of a mosąuito infected with the zoonotic St. Louis encephalitis flavivirus . The sign of a patient suffering from scabies. Also called Saint Main’s disease. Synonym of plague . Saint Roch is a patron saint of plague victims. Fever, pancytopenia, hepatosplenomegaly, caused by the zoonotic transmission of a protozoal Leishmania species by the bite of phlebotomine sand flies. 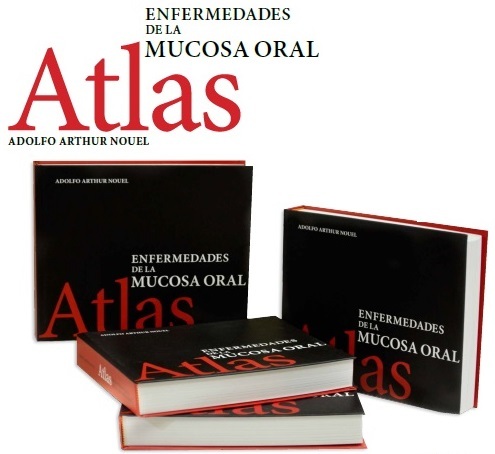 The disease can exist in visceral, cutaneous, and mucosal forms [13,14]. A form of enzootic marasmus due to a cobalt deficiency . The “allergic crease” together with the “allergic shiner” (darkening of the lower eyelid) and the “allergic salute” constitute the three facial hallmarks of these patients. This is the characteristic habitual gesture of wiping and/or rubbing the nose in an upwards or transverse manner with the fingers, palm, or back of the hand. It is termed a salute because the upward movement of the hand acts as an unintentional gesture . Dystrophic and ragged cuticle seen in dermatomyositis is called as Samitz sign [17,18]. 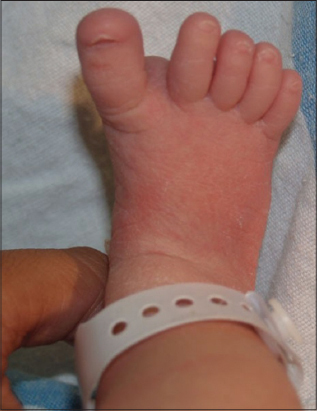 The gap between the first and second toes is a typical finding in trisomy 21 (Fig. 3). The feet are broad and short. The plantar surfaces are creased with a deep long furrow (ape-line) between the first and second toes . Also called as “thong sign”. In dermatophytosis, fungi are present in the horny layer between two zones of cornified cells, the upper being orthokeratotic and lower consisting partially parakeratotic cells (Fig. 4) . Inflammation and spiral erythema on the inner side of the sole [21,22]. Purpura rheumatica (Fig. 5). Also called Schönlein’s disease [23–25]. German physician, 1793-1864 (Fig. 6). 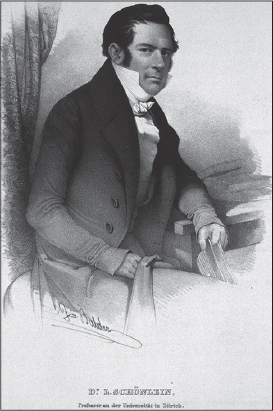 Johann Lukas Schönlein is reckoned among the most important medical secientists of the Biedermeier Zeit, the period following the Napoleonic wars, 1815 to 1858, in Germany. 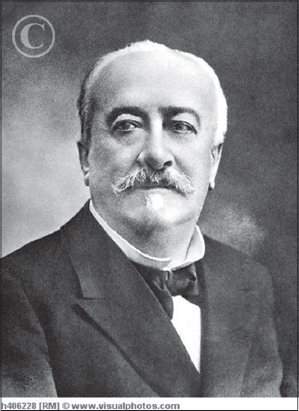 The work of Schönlein contributed greatly to the establishment of medicine as a natural science and, above all, to the development of modern methods in the teaching and practice of clinical medicine. Figure 6: Johann Lukas Schönlein. Schönlein grew up in a Bamberg which was one of the cradles of German hospital medicine. His interests however, were not in medicine, but in natural knowledge, which experienced a period of scientific advances in the beginning of the nineteenth century. In 1811 he began his studies of the natural sciences, particularly under Georg Augustin Bertele at the University of Landshut. Schönlein changed his course to that of medicine, and already whilst a student he sought beyond the ordinary medical curriculum and concerned himself with comparatory anatomy, particularly under Friedrich Tiedemann. One of his other important teachers in the main curriculum was Martin Muenz. In 1813 Schönlein went to Würzburg to continue his education. His special field of interest was the anatomy of the brain, which was the topic for his doctoral thesis in 1816, Von der Hirnmetamorphose – an unusually long dissertation of 140 pages that clearly demonstrates his inclination towards natural philosophy. After reciving his doctorate, Schönlein in 1816 left Würzburg, still not considering a clinical career. Hoping for a position with the Dutch East India Company, to have the opportunity to undertake studies in natural history. In the autumn of 1817, by the support of Döllinger, Schönlein was habilitated as Privatdozent at the University of Würzburg. In the spring of 1818 he commenced lecturing on pathological anatomy, later also on diseases of the eye, children’s diseases (1818/1819) and public health. Because of his liberal political views Schönlein was fired from his academic position in 1832. Instead of accepting a transfer to Passau as Kreis-Medicinalrath, he quit his job. Due to the Frankfurt Attentat he feared arrest and fled to Switzerland, where in 1833 he became the first professor of medicine at the newly founded Hochschule in Zurich. In 1839 he returned to Prussia to take over the chair of clinical medicine in Berlin, entering this position in 1840. He was also appointed personal physician to king Frederick William IV (reigned 1840-61). 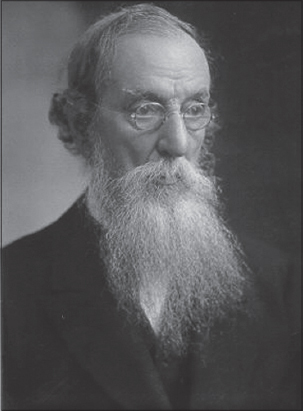 Schönlein was the founder of the natural historic school of studies and classification of medicine, introducing methods equivalent to those used in botany and zoology. He enjoyed the reputation of an exceptionally competent teacher among his students; he laid the foundation for this reputation while in Würzburg, and it would follow him through the rest of his teaching career. At the Berlin Charité he was the first to lecture on medicine in German rather than in Latin and introduced into Germany modern methods of clinical investigations like percussion and auscultation, and he was the first to use the microscope in conjunction with chemical analyses of urine and blood for diagnosing diseases. His introduction of bedside teaching was a novelty that quickly enhanced his reputation as a teacher. A number of positions that had previouslyy been reserved for military physicians, under Schönlein were given to civilian physicians. Schönlein conducted his clinical teaching in much the same way that patients are presented to the students today, with a presentation of case history, chemical, physical and microscopic findings. He would control these findings and instigate a discussion towards a diagnosis, then discuss etiology and therapy with the students. If the patient died, there would be a discussion of the pathological findings and errors in the diagnosis. Schönlein wrote relatively little – his doctoral thesis and two papers of 1 and 3 pages respectively. Still, despite his lack of enthusiuasm for writing, it was Schönlein who introduced the terms haemophilia and tuberculosis (1839). The word “tuberculosis” was derived from “tubercle”, a word introduced by the English physician Richard Morton (1637-1698) in 1689 to describe the characteristic lesions of consumption. Schönlein’s description of purpura rheumatica was written down by his students and published in Allgemeine und specielle Pathologie und Therapie, a work containing true empirical medicine. In it he descriebes the peteccies and the associated joint troubles – Schönlein’s purpura . There are depressions or notching of the incisal edges of the labial surfaces of the permanent incisors (Fig. 7). A sign of congenital syphilis . Also called Hutchinson’s Incisor sign or Teeth sign. Figure 7: Screwdriver Teeth sign. English surgeon and pathologist, 1828-1913 (Fig. 8). In 1851 he studied ophthalmology at Moorfields and was an ophthalmologist to the London Ophthalmic Hospital. He was also venereologist to the Lock Hospital, physician to the City of London Chest Hospital, and general surgeon to the London and Metropolitan Hospitals. From 1859 to 1883 he was surgeon to the London Hospital, and he also worked at the Blackfriars Hospital for Diseases of the Skin, being elected to the staff in 1867 and becoming senior surgeon. Hutchinson developed a special interest in congenital syphilis, which was common in London in his time, and he was responsible for delineating the natural history of the disorder. It is said that he saw more than one million patients with syphilis in his lifetime. Hutchinson had a vast clinical experience and he published his observations in more than 1,200 medical articles. Despite his busy practice he produced the quarterly Archives of Surgery. For a brief period of time he was the editor of the British Medical Journal. In England the term morbus Hutchinson-Boeck has been used for benign lymphogranulomatosis, now commonly known as Boeck’s sarcoid. In January 1869, a 58 year-old coal-wharf worker, John W, attended Jonathan Hutchinson at the Blackfriars Hospital complaining of purple skin plaques, which had gradually developed over the preceding two years, somewhat symmetrically on his legs and hands. They were neither tender nor painful and did not ulcerate. Hutchinson considered that the skin lesions were in some way related to the patient’s gout. His name is associated with: Bernard-Horner syndrome (Claude Bernard), Hutchinson’s angina, Hutchinson’s dehidrosis, Hutchinson’s disease, Hutchinson’s facies, Hutchinson’s freckle, Hutchinson’s mask, Hutchinson’s melanotic disease, Hutchinson’s patch, Hutchinson’s prurigo, Hutchinson’s pupil, Hutchinson’s sign 2 (Sir Jonathan Hutchinson), Hutchinson’s teeth, Hutchinson’s triad, Hutchinson-Gilford disease . Figure 8: Sir Jonathan Hutchinson. Mite bites followed with severe headache, shivering, and rash. A sign of Scrub Typhus fever, also called Mite fever . Schultz-Charlton reaction phenomenon [30,31]. 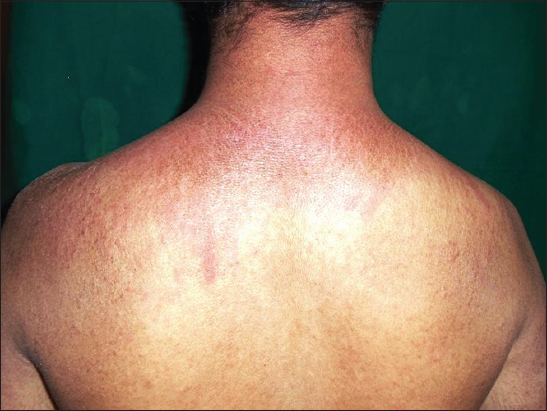 The specific blanching of a scarlatinal rash at the site of intracutaneous injection of scarlatina antiserum. Also called Rash-extinction sign. In 1918, Schultz and Charlton1 first reported that the intracutaneous injection of from 0.5 to 1 cc. of normal or scarlet fever convalescent serum would blanch the rash of scarlet fever at the site of injection. They also showed that the blanching substance was present in serum taken after the fourteenth day of scarlet fever, but that serum taken earlier in the disease did not have blanching power. Plain horse serum or diphtheria antitoxin failed to blanch the rash. Schultz and Charlton also made injections of a dilute solution of epinephrine hydrochloride intracutaneously, and found that the rash blanched within a few minutes. This blanching lasted five or six hours. In contrast, the reaction produced by scarlet fever convalescent serum appeared only after five or six hours and lasted several days. Schultz and Charlton expressed the belief that human serum contained some vasoconstricting factor which counteracted the vasodilating effect. This sign is to be elicited in patients having pityriasis versicolor, wherein the barely perceptible scales are made to stand out by scratching the lesion with fingernail . Also calles as coup d’ongle sign, Besnier’s sign or stroke of the nail. Sign from IndoChina, c. 19th century. Described urticarial buttocks lesions on French soildiers, caused by the zoonotic Strongyloides stercoralis roundworm . Just after birth a seemingly healthy child begins to bleed from the mucous surfaces and from the navel . A sign of syphilis haemorrhagic neonatorum. The first survey was made by Mraček, who described a series of cases of syphilis haemorrhagica neonatorum and demonstrated the pathologic changes in blood vessels and capillaries. In 1875 Bälz described 3 cases of hemorrhagic syphilis. One patient suffered from a papulosquamous syphilid with capillary bleeding combined with hemorrhage from different points and in the lungs. Rapid fever, kidney failure, severe back pain, and bleeding rash which progresses to death in 15 percent of victims . Caused by a zoonotic hantaviral infectious process known as hemorrhagic fever with renal syndrome disease. A disease which arises from the development of pyogenic or putrefactive organisms . Keratolysis or deciduous skin, a condition in which the whole skin is cast off like a snake in huge contiguous pieces. Also called Preston’s sign. Deciduous skin can be defined best as continuous, periodic or seasonal shedding or peeling of the epidermal layer of the skin of more or less generalized distribution . The setting-sun phenomenon is an ophthalmologic sign in young children resulting from upward-gaze paresis. In this condition, the eyes appear driven downward, the sclera may be seen between the upper eyelid and the iris, and part of the lower pupil may be covered by the lower eyelid. Pathogenesis of this sign is not well understood, but it seems to be related to aqueductal distention with compression of periaqueductal structures secondary to increased intracranial pressure.1 However, it can also be transiently elicited in healthy infants up to 7 months of age by changes of position or removal of light (benign setting-sun phenomenon). The benign form might represent immaturity of the reflex systems controlling eye movements. When persistent, this sign is one of the most frequent markers of elevated intracranial pressure, appearing in 40% of children with hydrocephalus (of any cause) and in 13% of patients with ventriculoperitoneal shunt dysfunction. It is an earlier sign of hydrocephalus than enlarged head circumference, full fontanelle, separation of sutures, irritability or vomiting. Consequently, this sign is a valuable early warning of an entity requiring prompt neuroimaging and urgent surgical intervention . Peyer’s patches seen post mortem due to typhoid fever . 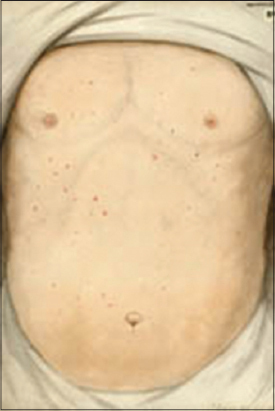 Oedematous-erythematous lilac coloured skin lesions may be also present in the skin of decolletage and shoulders as the shawl sign (Fig. 9) [18,40]. Severe spreading stomach pain with possibly vomiting black from soot or blue from indigo. Intense thirst, cramps, and coma . Also known as Arsenic sign (acute) and Paris Green sign. A sago like eruption on the palate and the lips . A sign seen in influenza. This sign is positive in subepidermal blistering disorders, like bullous pemphigoid, cicatricial pemphigoid, herpes gestationis, dermatitis herpetiformis, linear IgA bullous dermatotis, epidermolysis bullosa acquisita, junctional and dystrophic epidermolysis bullosa, porphyrias and bullous SLE. This involves pulling the peripheral remnant of a roof of a ruptured blister, thereby extending the erosion on the surrounding normal appearing skin. It is called the “false Nikolskiy” sign because it is a subepidermal cleavage occurring in the perilesional skin. The erosions thus induced are limited in size, do not exhibit tendency to subsequent spontaneous extension and heal rapidly [43,44]. Russian dermatologist (1918-1989), (Fig. 10), who was Professor and Chairman of the Department of Dermatology and Venereology at the Moscow School of Dentistry, Moscow, Russia (then the Union of Soviet Socialist Republics), described the sign of perifocal subepidermal separation (“false Nikolskiy sign”), which is also known in the modern dermatologic literature published in Russian as the Sheklakov sign. In contrast to the true Nikolskiy sign, perifocal subepidermal separation is induced at the periphery of blisters with a subepidermal location by pulling the remnant from the blister roof or wall. The induced erosions are limited in size, do not have a tendency to subsequent spontaneous extension, and heal fast . 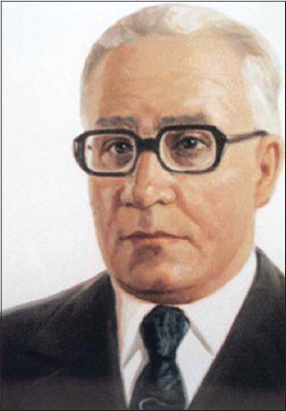 Figure 10: Nikolay Dmitriyevich Sheklakov. Epidemic typhus (Fig. 11) (also called “camp fever”, “jail fever”, “hospital fever”, “ship fever”, “famine fever”, “putrid fever”, “petechial fever”, “Epidemic louse-borne typhus” and “louse-borne typhus”) is a form of typhus so named because the disease often causes epidemics following wars and natural disasters. The causative organism is Rickettsia prowazekii, transmitted by the human body louse (Pediculus humanus corporis) [46–48]. 1. Brzezinski P, Godoy Gijón E, López-López J, Toyokawa T, Scrimshaw NS, Malard O, Bimbi C. Dermatology eponyms –phenomen/sign –Lexicon (F). Our Dermatol Online. 2012;3:66-78. 2. Rothschild BM, Heathcote GM. Characterization of the skeletal manifestations of the treponemal disease yaws as a population phenomenon. Clin Infect Dis. 1993;17:198- 203. 3. Ferron F, Weber F, de la Torre JC, Reguera J. Transcription and replication mechanisms of Bunyaviridae and Arenaviridae L proteins. Virus Res. 2017;234:118-34. 4. Ferreira-Filho SR, Machado GR, Ferreira VC, Rodrigues CF, Proença de Moraes T, Divino-Filho JC, et al. 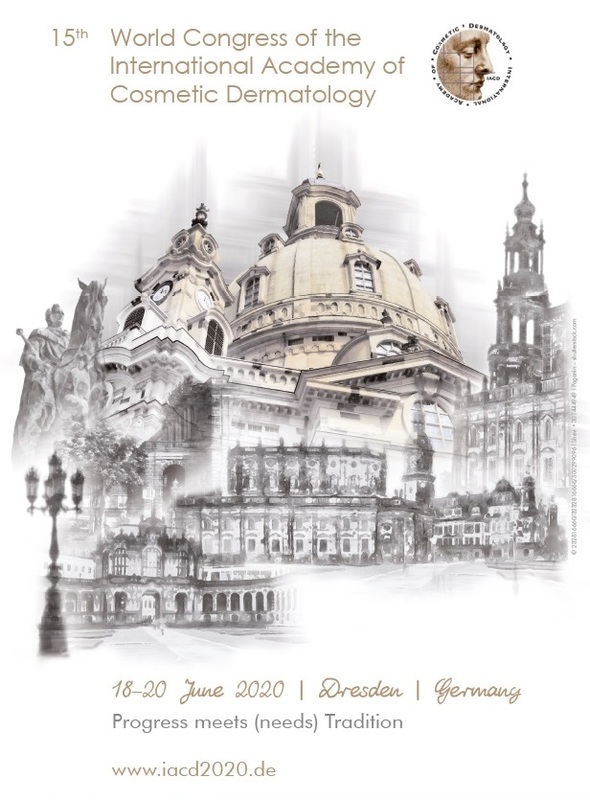 Back to basics:pitting edema and the optimization of hypertension treatment in incident peritoneal dialysis patients (BRAZPD). PLoS One. 2012;7:e36758. 5. Parish LC. An historical approach to the nomenclature of rheumatoid arthritis. Arthritis Rheum. 1963;6:138-58. 6. Rideal R. 1666:Plague, War and Hellfire. John Murray, 25 Aug. 2016. 7. Ohry A, Ohry-Kossoy K. St. Giles, St. Francis et al. :medical patron saints. Adler Mus Bull. 1986;12:18-22. 8. Lanska DJ. The Dancing Manias:Psychogenic illness as a social phenomenon. Front Neurol Neurosci. 2018;42:132-41. 9. Tagarelli A, Lagonia P, Tagarelli G, Piro A. Intercessor Saints Protecting Europeans From Syphilis Arch Dermatol. 2011;147:1202. 10. Kombate K, Teclessou JN, Saka B, Tabe-Djato GL, Akakpo AS, Mouhari-Toure A, Pitche P. [Leprosy in Togo:retrospective study of 2630 cases over 15 years]. Our Dermatol Online. 2017;8(Suppl. 1):10-4. 11. Hartmann CA, Vikram HR, Seville MT, Orenstein R, Kusne S, Blair JE, et al. Neuroinvasive St. Louis Encephalitis Virus Infection in Solid Organ Transplant Recipients. Am J Transplant. 2017;17:2200-6. 12. Devaux G. [Concerning the iconography of St. Roch:a 17th-century statue in the church of Angoisse (Dordogne)]. Rev Hist Pharm (Paris). 1973;21:437-43. 13. Chakiri R, Gallouj S, Mernissi FZ, Rimani M. Unusual presentation of cutaneous Leishmaniasis in pregnancy:A case report. Our Dermatol Online. 2017;8:431-3. 14. Tamer F, Yuksel ME. A distinct cutaneous leishmaniasis lesion on the tip of the patient's nose:A visual warning for European colleagues. Our Dermatol Online. 2017;8:108-9. 15. Mahin L, Lamand M. [Similarity of various clinical aspects of protein-calorie malnutrition to copper, zinc and cobalt deficiencies in ruminants]. Ann Rech Vet. 1982;13:171-5. 16. Ramot Y, Maly A, Zlotogorski A, Nanova K. Atypical “allergic crease“. J Dermatol Case Rep. 2010;4:36-7. 17. Samitz MH. Cuticular changes in dermatomyositis. A clinical sign. Arch Dermatol 1974;110:866-7. 18. Stawczyk-Macieja M, Szczerkowska-Dobosz A, Błażewicz I, Wilkowska A, Nowicki R. Dermatomyositis related to the relapse of cervical cancer. Our Dermatol Online. 2015;6:183-6. 19. Devlin L, Morrison PJ. Accuracy of the clinical diagnosis of Down syndrome. Ulster Med J. 2004 May;73:4-12. 20. Gottlieb GJ, Ackerman AB. The “sandwich sign“of dermatophytosis. Am J Dermatopathol. 1986;8:347-50. 21. AntolováD, MiterpákováM, ParaličováZ. Case of human Dirofilaria repens infection manifested by cutaneous larva migrans syndrome. Parasitol Res. 2015;114:2969-73. 22. Salissou L, Ousmane S, Doulla M, Brah S, Daou M, Ali D, Adehossi E. Larva Migrans Cutanée:3 cas de localisation au front. [Cutaneous Larva migrans:3 cases at the forehead]. Our Dermatol Online. 2017;8(Suppl. 1):36-9. 23. Satoh M, Okabe H, Orikasa R, Yamamoto T. Henoch-Schönlein purpura (IgA vasculitis) developing after postoperative wound infection by methicillin-resistant Staphylococcus aureus. Our Dermatol Online. 2016;7:207-9. 24. 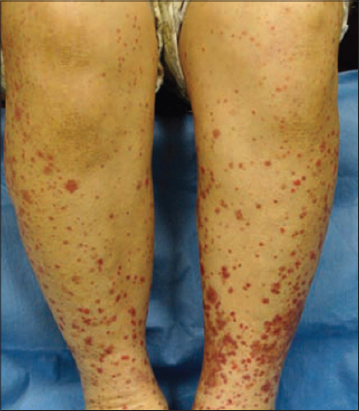 Di Martino Ortiz B, Moreno T, Mancia S, Galeano G. [Muco-cutaneous manifestations due to Mycoplasma pneumoniae infection. Report of 3 cases]. Our Dermatol Online. 2015;6:307-12. 25. 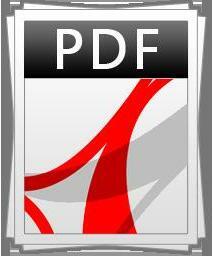 Al Aboud K, Al Aboud D. Eponyms in dermatology literature linked to Switzerland. Our Dermatol Online. 2013;4:121-7. 26. Wiedemann HR. Johann Lukas Schönlein (1793-1863). Eur J Pediatr. 1994;153:621. 27. Brzezinski P, Pessoa L, Galvão V, Barja Lopez JM, Adaskevich UP, Niamba P, et al. Dermatology Eponyms –sign –Lexicon (H). Our Dermatol Online. 2013;4:130-43. 28. Wales AE. Sir Jonathan Hutchinson (1828-1913). Br J Vener Dis. 1963;39:i1–86. 29. Narvencar K, Kaur G, Rodrigues S. Rickettsial Infections in Goa-Not Just Scrub Typhus!J Assoc Physicians India. 2017;65:24-7. 30. Calder RM. Allergic Shock following a Schultz-Charlton Test. Br Med J. 1941;2:198-9. 31. Brzeziński P, Senanayake MP, Karunaratne I, Chiriac A. Dermotology eponyms –sign –Lexicon (R):Part 1. Our Dermatology Online. 2017;8:114-20. 32. Zonunsanga. Atypical pityriasis versicolor:case report. Our Dermatol Online. 2015;6:198-200. 33. Brzeziński P. Infestation Strongyloides Stercoralis in medical personel. N Dermatol Online. 2010;1:32-3. 34. Kalz F. Hemorrhagic syphilis. 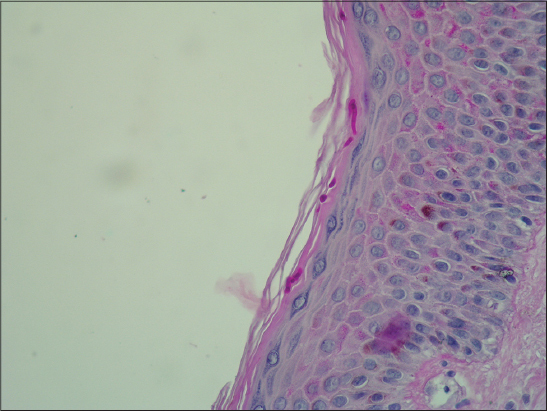 Arch Derm Syphilol. 1942;46:483-8. 35. Lalwani P, Raftery MJ, Kobak L, Rang A, Giese T, Matthaei M, et al. Hantaviral mechanisms driving HLA class I antigen presentation require both RIG-I and TRIF. Eur J Immunol. 2013;43:2566-76. 36. Ponte CD, McDonald M. Septic discitis resulting from Escherichia coli urosepsis. J Fam Pract. 1992;34:767-71. 37. Brzezinski P, Tanaka M, Husein-ElAhmed H, Castori M, Barro/TraoréF, Punshi SK, et al. Dermatology Eponyms –sign –Lexicon (P). Part 2. Our Dermatol Online. 2016;7:359-65. 38. Boragina M, Cohen E. An infant with the “setting-sun“eye phenomenon. CMAJ. 2006;175:878. 39. Monack DM, Hersh D, Ghori N, Bouley D, Zychlinsky A, Falkow S. Salmonella exploits caspase-1 to colonize Peyer's patches in a murine typhoid model. J Exp Med. 2000;192:249-58. 40. Dhavalshankh G, Dhavalshankh A, Masvekar V. Cutaneous manifestations of dermatomyositis in male patient:a rare report. Our Dermatol Online. 2013;4:168-71. 41. Olsen V, Mørland J. [Arsenic poisoning]. Tidsskr Nor Laegeforen. 2004;124:2750-3. 42. Shelly CE. Vesicular Eruption on the Palate:A Sign of Influenza(?). Br Med J. 1893;1:791-2. 43. 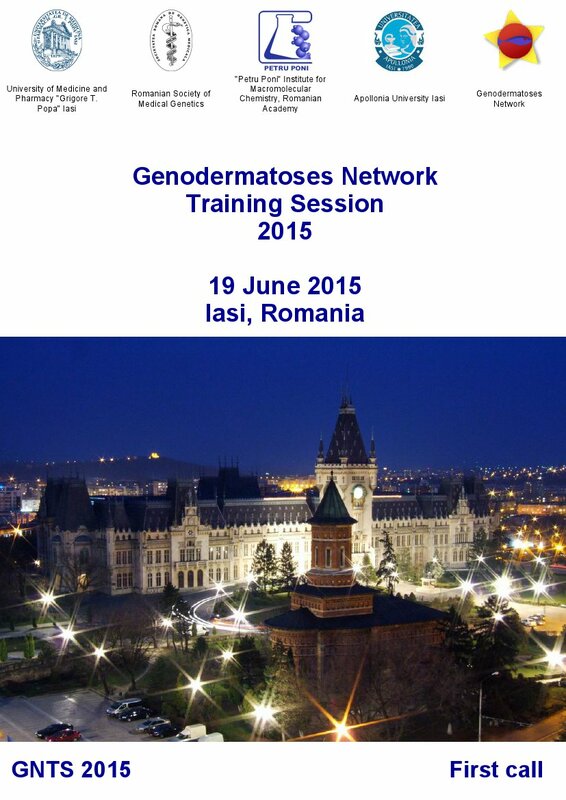 Schmidt E, Zillikens D. The diagnosis and treatment of autoimmune blistering skin diseases. Dtsch Arztebl Int. 2011;108:399-405. 44. Brzeziński P, Chiriac A, Arenas R, Dori GU, Monteiro R, Cairncross S, et al. Dermatology Eponyms –sign –Lexicon (L). Our Dermatol Online. 2014;5:217-30. 45. Al Aboud A, Al Aboud K. Eponyms in the dermatology literature linked to Russia. Our Dermatol Online. 2013;4(Suppl.1):414-5. 46. Brzeziński P, Passarini B, Nogueira A. Dermatology eponyms –phenomen/sign –dictionary (C). N Dermatol Online. 2011;2:81-100. 47. Brzezinski P, Chiriac A, Munsey C, Sinjab AT. Dermatology Eponyms –sign –Lexicon (J). Our Dermatol Online. 2013;4:399-402. 48. Brzeziński P, Chang P, Fan R-Y, Krishnan V, Peh WCG, Francès P, et al. Dermatology Eponyms –sign –Lexicon (P). Part 1. Our Dermatol Online. 2016;7:244-52.